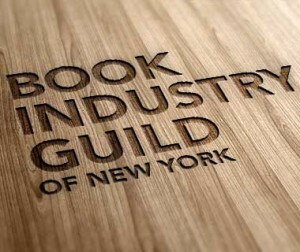 The event will take place on Tuesday, May 10 at Random House (1745 Broadway), Second Floor. Beer, wine, hor d’oeuvres, and networking begin at 5:15 pm, the program itself begins at 6:15 pm. BIGNY is happy to offer a discounted entry rate of $20 to all YPG members (typically $60 for nonmembers, and $40 for members). If you cannot or would not like to attend the networking hour, you may attend the presentation only for $5. Please register online prior to the event at: http://bigny.org/event/exploring-faith-based-publishing/ When filling out the registration form, select the “Member ($40)” option and then enter and apply the Coupon Code YPGFAITHPUB. You will then be redirected to PayPal to complete the payment. If you choose to only attend the presentation, please choose the “Only Attending Speaker Portion ($5)” and do not apply the coupon code. If you do not register online prior to the event, you may pay at the door. Cash is encouraged, but credit card and checks will also be accepted. If you have any questions, please reach out to Jacob Seifert at financial.secretary@bigny.org.